Southwestern Jasmine Rice is a delicious side dish made Jasmine rice, red peppers, garlic, southwestern seasoning and cilantro. A few weeks ago, one of my favorite bloggers, Jennifer of Be Centsible, ran a free rice contest. I was lucky to win a 2-pound bag each of Jasmine and Basmati rice. Both of these varieties were already in my pantry but this sent me on a wild and delicious search for a new recipe worthy of the prize. Guess where I found it? In my purse, of all places. Evidently, I picked it up while shopping at Central Market some time ago. At any rate, it’s so easy, I was inspired to play a little and come up with my own version. Basically, it’s a fiesta in your mouth. So far, we’ve tried it with Mexican food and beef tips. Both were husband-approved. Need a main dish? Add diced chicken, leftover steak, or sausage. Don’t let the “southwestern seasoning” called for in the recipe discourage you. Chipotle chili seasoning would work as well as plain chili powder. Add a small amount of cumin (1/4 to 1/2 teaspoon) if you decide to substitute. 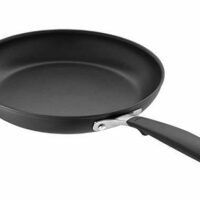 Preheat a large skillet and pour in oil. Sauté onions and red peppers until softened but not brown. Add garlic and southwest seasoning and cook until fragrant. Add cooked rice and cilantro to vegetable mixture and mix well. Serve hot. Serve with your favorite Mexican dish. (Enchilladas at my house). I just stumbled on your blog and I love your salad in a jar idea! I eat a lot of salad, but get so frustrated with the bags going bad even after I repackage them in tupperware. Anyway, I love the little minute rice brown rice cups (even though I know that’s cheating). I have some frozen Indian meals that I love (also cheating) and I throw those over the rice. I love rice with Thai and Indian cuisines. I love rice! I really could it it everyday. My favorite way to eat it is in Broccoli and Cheese Casserole by Paula Dean though. Of course I also love spanish rice, rice with pinto beans (which I’m having tonight) rice pilaf, etc…. whoops can’t forget fried rice! The only way I eat rice is when it is served at Chinese restaurants. I use to cook rice all the time. Especially dirty rice with beef broth and livers. At some point I decided rice was one of the foods I could cut out. HMMM. I could eat rice every day! As my mom mentioned I grew up having rice with roast, which I prefer over potatoes. This recipe looks great, I will have to try it. I’m dominican so we want to eat plain ‘ol dominican white rice with everything. That looks yummy. I love rice, but I love the walmart giftcard even more! On a tight budget like ours, we need to win! Fabulous recipe! I love jasmine rice but I have never cooked it southwestern style, and it is such a great idea to try it this way! Wow, nice giveaway. Favorite rice dish. Probably chicken, pineapple, green peppers, cooked with a bbq sauce that has added pineapple juice, served over rice. We love that. Nine months–you seem like you’ve been at it for years–great blog, Paula. I do wish we were closer. I’d trade some cinnamon rolls for some of that strawberry pie! Yumm!! 🙂 Your rice dish looks good too. I need to make something with my red bell peppers, this looks just like the thing! 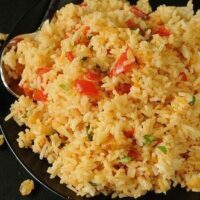 I love any kind of rice – but mostly rice pilaf and mexican rice! When my husband was diagnosed with having celiac, rice became a mainstay of our diet. I have learned to cook a lot more gluten free dishes but rice is still his favorite. My favorite way to eat rice is steamed with red and green bell peppers and sugar snap peas thrown on top and some firecracker shrimp thrown in there too. Simple, healthy, delicious! I grew up in the deep south and rice is a 7-day a week staple. I love it! My favorite way to eat it is smothered in a thick roux/gumbo gravy with sausage, chicken, andouille, and tasso. Your rice dish looks delicious! Thanks for the chance to win this wonderful giveaway. I, on the other hand, am known to Walmart. Or should I say, I could almost be called by name. Rice – something I love, but never take the time to cook… I have thrown it in soup before – to cook itself! But this dish! All my favorite things – especially the cilantro. Great idea and great post! I love brown and wild rice salad, made with chopped pecans, celery and dried cranberries steeped in fresh orange juice. The juice must be fresh, or Odwalla, because it also acts as the dressing. Yum, so good! My favorite rice dish is basmati rice cooked with chicken stock, then I add slivered almonds, peas and a pat of good butter. Yum my favorite comfort food. This looks so good! I’ll have to make it soon! I love rice. One of my newest favorites is cilantro-lime rice. It is made with Jasmine rice too! I love brown rice eaten cold as a salad with fresh tomatoes, cliantro, red wine vinegar and a splash of olive oil. Yum! 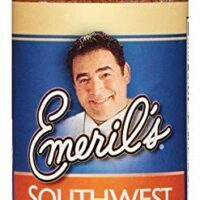 Can’t wait to try your recipe — have been looking for a new mexi-rice. I love rice!! I love it as a side dish with just butter, salt and pepper. Or, as a main dish with Beans, Tomatoes and Cheese!! I cannot think of any way I DON’T like rice. But I do enjoy fixing it with a ton of flavor either with Mexican Rice, Salsa Rice, or Fried Rice. The family likes it just fine with gravy. Growing up inn Louisiana, rice was a constant on our table. Jambalaya was my Dad’s favorite, Shrimp Creole w/ plain white rice was my Mom’s. My grandmother often served meat loaf with rice and tomato gravy. My favorite was Red Beans & Rice (with either sausage or a ham bone). Now Gary is more of a potato fan, so I don’t eat as much rice. Our favorite now is a recipe for Mexican rice adapted from a Minute rice box. I prefer Uncle Ben’s converted rice, corn, chicken broth, and picante sauce. Pour it all together and simmer until tender. Add grated cheese (if desired). The proportions are adaptable, and with the addition of some grilled chicken becomes a one-dish meal. We love rice at our house. I alway serve rice with mushroom roast. That is our favorite . I also fix rice and veggies together instead of potatoes. I have not tried Jasmine and basmati rice but I will now. Thanks for expanding my menus. i guess i like fried rice best. never had jasmine or basmati but willing to try! I really like fried rice with chicken, carrots and broccoli. I also like sticky rice with soy sauce. I am not a big rice eater, but Walt is. This sounds very good and I think I will try it very soon! Love your blog Paula!!! I like cooking sticky rice when we eat fish, and I really enjoy adding brown sugar to my rice. Yum! I just discovered Basmati rice in the last few months, and am impressed with it, however, my long-time favorite (since we lived iin Tampa) is the Cuban yellow rice. I love rice but it is not a favorite of my husband. He says it seems like we always have so much left- even when we cook for 2 people. I always want to cook Mexican rice at home but it never works out right. I need to shop at a store where Jasmine and Basmati are available or may be I am not looking close enough. Anyway, the recipe sounds great! I LOVE rice! All kinds of ways, all kinds of types. Mostly I enjoy rice with sauces or gravies or anything savory and liquid but I like it plain with a vegetable and meat for a healthier option. I have even (on rare occassions) eaten it for breakfast with butter!?! My pantry is void of the food at the moment so a win would be nice! Thank you Paula. I will have to try it out on the fam….My kids love rice when we go out to eat, but never like what I prepare at home. And it sounds easy enough for me! Love the contest idea too!!! I love rice anyway. Spanish rice is yummy, wild rice is on our table at least weekly, and I just started making risotto. Thanks for a great give away! 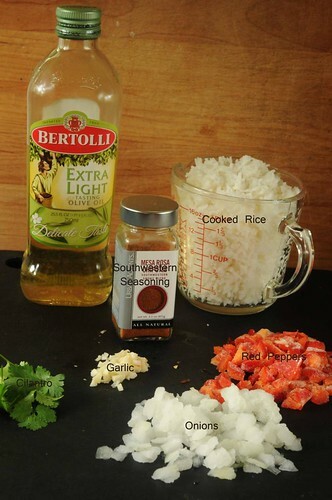 This looks great- I will make this sometime soon, I LOVE Jasmine rice! Wow! You’re feeling generous today!! 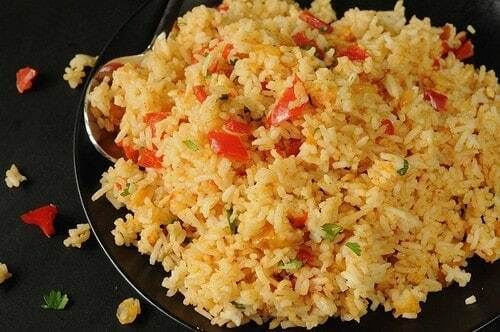 My favorite rice isn’t really my favorite b/c of the taste…it’s mainly b/c it’s quick and easy. Rice-a-Roni with some smoked sausage and mixed veggies added in makes a quick and easy meal for a family on the go. Not the healthiest…but sure is quick! My favorite is Spanish rice. I use the recipe in my Betty Crocker cookbook! Love the tomatoes and bits of bacon. I adore rice in most every form, but I especially love basmati rice flavored with cardamom (yum) and black rice baked into a sweet pudding! My favorite rice dish is basmati rice cooked with my own homemade chicken broth. A bit of butter and salt, and yum! I love plain rice (I also love plain rice topped with other things, such as Chinese food), I love fried rice, I love Mexican rice in Burritos. I do like brown rice more than white rice.